Los Angeles Chargers second-round pick Forrest Lamp will miss the entire 2017 season with a torn ACL. The Chargers have been decimated with injuries over the past few years. After likely losing first-round pick Mike Williams on the season, there is more bad news. The injuries can’t seem to stop coming. Second-round pick Forrest Lamp was carted off the field from practice Wednesday. It’s been reported that he miss the entire 2017 season with a torn ACL in his right knee. Injury Update: Guard Forrest Lamp has been diagnosed with a torn ACL in his right knee. This is a shocking blow to a Chargers offensive line that struggled to keep Philip Rivers upright last season. They were among the league leaders in sacks allowed and it’s been a similar narrative throughout Rivers’ career. That is exactly why the Chargers went after a lineman like Lamp in the draft. When the Chargers selected Lamp at No. 38, it was considered a steal. 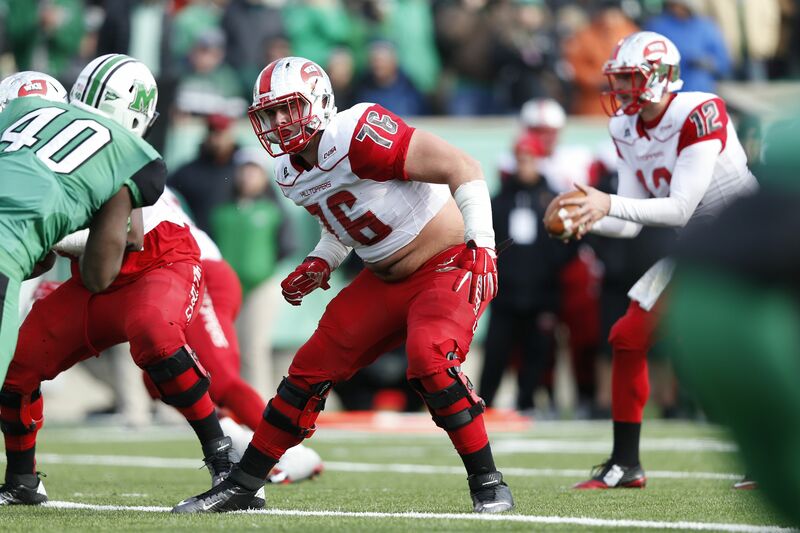 Lamp was a highly regarded prospect coming out of Western Kentucky and many thought he was the most talented lineman in the draft. He was in prime position to start at guard this season, but will now have to take a redshirt year. Luckily for Lamp, he has been able to stay relatively healthy throughout his football career. At Western Kentucky he was as consistent as they come. He started a total of 51 games throughout his four years, and as we’ve seen, ACL injuries are starting to get easier and easier to come back from. Most of the time you will see professional athletes come back from these injuries in less than a year if there are no problems. As the saying goes, it’s a minor setback for a major comeback. Lamp will now put this year on the back burner and focus on getting healthy in time for the start of the 2018 season. The Chargers will certainly need him next season.